As a kind of cultural phenomenon, adorableness is deep-rooted in our mind. Although the definition of adorableness differs from person to person, it still has unique magic and infection that makes itself irresistible. This time, the solo exhibition of Chang Shan is named “Unadorable League” which makes you feel “very adorable” instead. 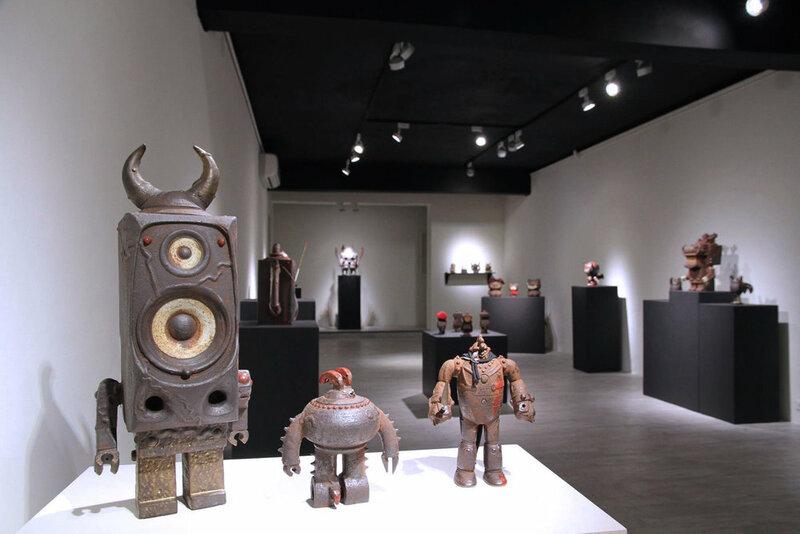 By the creation method of making pottery with rust texture, Chang deconstructs, reassembles, and reproduces common objects in daily life, giving them new spirits and expressions in order to convey a state of mind that “everything is adorable” in his eyes. We cordially invite you to join with us to encounter the adorableness of your own!